Our Explosion Proof Wire Rope Hoist features NEMA 7 enclosures, making it ideal for hazardous environments. These wire rope hoists have spark-resistant features, which are designed to reduce the likelihood of sparking during normal lifting operations. 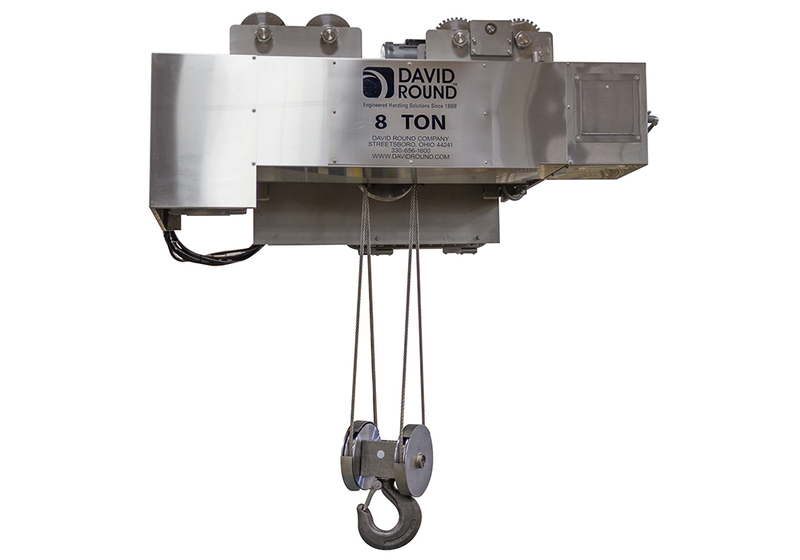 Explosion proof wire rope hoists are specifically designed to meet critical headroom, speed, duty-cycle, envelope and operational requirements. We will design to meet your explosion proof Class, Group and Div needs. Want an explosion proof chain hoist? We can do that too! Click here for info!